Direct messaging on social media is always a tricky concept. On the one hand, some platforms restrict your ability to send messages, and others have users who strongly react against it when it happens. If you’re careful with your direct messaging, you might be able to get a decent amount of positive attention. If you’re not careful, you’ll end up being branded a spammer and can even get your messaging ability revoked or your account suspended. The first thing you should decide is what social networks you’re going to try this technique on. 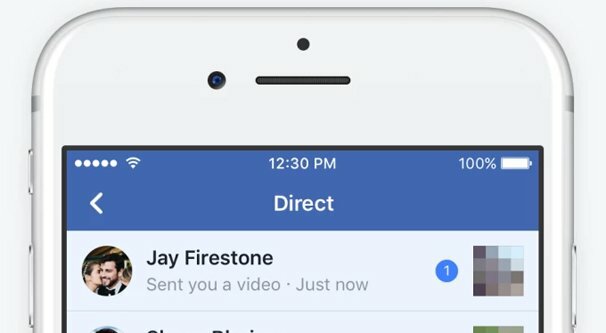 Different networks will likely react quite differently to direct messaging techniques. Facebook, for one, makes it virtually impossible. No brand page is able to send a message unsolicited to anyone, follower or otherwise. You can only respond if someone sends you a message first. The exception to this is the message prompt you get when you visit pages with chatbots set up. For example, when you visit Hubspot on Facebook, the Facebook messenger window automatically opens with what is essentially an app request. Clicking the “get started” button will give Hubspot access to your information and will initiate an opt-in for something similar to an email list. They will send you a message, and you can respond to their chatbot to progress through their messaging system. By contrast, Instagram is free and open with direct messages. Anyone can send anyone else a direct message so long as they aren’t blocked, and indeed, direct messaging is a big part of marketing on Instagram. As such, the majority of this article will likely cover Instagram direct message options. On Twitter, the most common way of using direct messages is the autoresponder concept, sending a message to anyone who follows you, when they follow you. You can send messages to people who follow you, but not to anyone else; the option simply doesn’t appear. Any other messaging has to be public. Since Instagram will cover the bulk of this post, I’m going to start with the other two. I don’t normally recommend Twitter DMs unless you know what you’re doing. There are a lot of ways it can go wrong, and sending poorly formulated DMs to people is basically just spam. Twitter users like the open and public culture of the site – except when doxxing is a problem – and DMs are generally more used among friends than with businesses. The exception is for customer service, and of course, you don’t generally want to be using automatic responses there. In general, you want your Twitter DMs to provide as much value as you can. Don’t ask for anything from the user, just give them something, be it a free e-book, a link to a post they might like, a coupon code, or something else. These are generally self-explanatory. Feel free to adapt them to whatever situation you’re in where they can be used. I tried to include a few that aren’t explicitly promotional or meant to be responses to a follow trigger as well, though you can always drop the “thanks for the follow” but to adapt any other message just as easily. If you’re interested in using Facebook Messenger to enhance your business with these automatic welcome messages, it’s certainly not difficult to do. The trick is, you probably can’t do it on your own. I highly recommend taking a look at a chatbot building service like Chat Fuel. This article is a great guide to using a chatbot for marketing, and its advice can apply to many of the different bot creation engines you might choose to use. Rather than templates here, I’m going to give you concept flows for conversations. Since Facebook messenger means you’re more likely to be catching someone to immediately talk to, you can run a conversation, rather than just a single message. Here are some ideas. Thank the user for their interest and ask them if they would be interested in messages about your most recent content. Set up a system where they can choose daily, weekly, or monthly digests of your content, as long as you have the content to support the more frequent distribution. Let the user choose what they would like to do, and make sure you have additional options if the user has another topic in mind. Fall back to a human manning the station instead of just the bot if necessary. Set up a chatbot to operate as a sort of directory of recent published content on your site. When a user appears, ask them if they would like help finding content on a specific subject. If they reply that they would, assist them with finding recent content. Facebook Messenger provides some advanced features to help with searching and displaying content for bots. If you’re hosting, sponsoring, or attending an event, use messenger to get in touch with other people at the event. When someone visits your Facebook page, prompt them to see if they’re attending, and engage with them from there. At the event, encourage users to visit your Facebook page with a special code that will get them a gift. Use your messenger as a soft landing page for advertising. Facebook is working with a new ad format that opens up Messenger immediately, rather than a website or a Facebook page or post. This allows you to immediately open up a dialogue and qualify any potential new leads coming in from those ads without delays. Keep your Messenger manned at all times, at least passively, so that anyone coming to you with customer service issues can be immediately forwarded to the right person or have their issue dealt with immediately. FB Messenger is a good platform for customer service, similar to Twitter, though which is more often used will depend on the audience you’ve built up. You can read more about all of these techniques, as well as a deeper dive into the click-to-message ads Facebook offers, in this post from Buffer. As promised, Instagram is usually going to be the hub of DM-based marketing. The platform is at once social and open, and it has been largely resistant to the corruption of low-effort marketers. It has been getting more and more open recently, and I wouldn’t be surprised if these techniques work less and less well over the coming years, but for now it’s worth giving them a shot. You can use DMs on Instagram in a lot of different ways. They’re great for outreach and networking, for learning more about your customers and followers, and just for building engagement. Instagram Direct is special in that it also allows you to send a message to a group of users of up to 50 people at a time. These messages are restricted by privacy settings, of course, and you can only send DMs when you’re using the app rather than the desktop version of Instagram, but it’s still worth using. Additionally, unlike other social networks, you can use Instagram Direct to send messages to anyone, regardless of whether or not you’re following each other. Of course, unsolicited messages to people who don’t follow you is generally considered spam, so be cautious of that technique. For these templates, some of them will be actual templates like the Twitter examples, while others will be ideas or descriptions. Why? 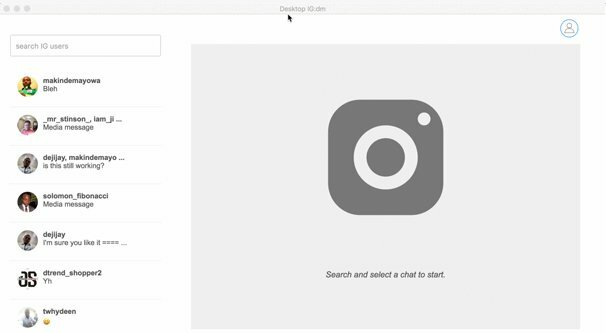 Instagram allows you to send images along with your DMs, and I can’t very well provide you with a template image that fits your brand, can I? Send an influencer a photo of your product in their niche and ask them if they’d be interested in a copy to review. Send an influencer a pitch offering to make a video story for their feed. Let an influencer know that you would “love to send them a sample set” of whatever your products happen to be. Send a message like “Hey [name], we met up at [event] last weekend and I wanted to touch base and see how things are going. What’s good?” to a new connection. Make use of disappearing messages. These messages disappear after they have been viewed. Give a coupon code or gift card code in your disappearing image, and warn the user that it will self-destruct after viewing and they should write it down. There are plenty more options available, of course, though many will be variations on one of these themes. Make use of the tools available to you, see what other people have found that works, and ride those DMs to success.